These are awesome! I love the untucked mesh and am always looking for shirts that use it. The style is nice too. I love alternative stuff. I need to reinstall my actual art program, so I can play at more involved stuff. Paint.net keeps crashing on me, possibly out of an electronic sense of self-preservation. Oh I LOVE this idea! 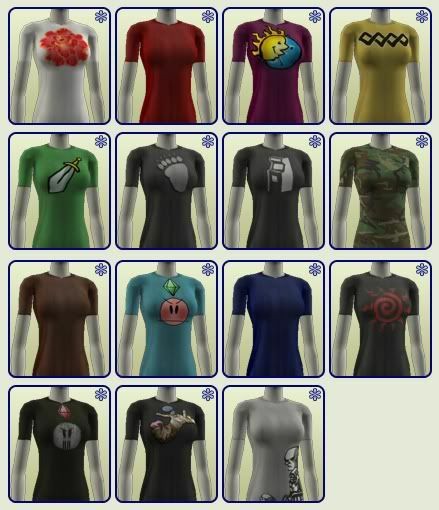 More tees for the TFs and now I'm going to need more bottoms. And your Henderson Uglacy is a thing of... well, I'm not sure if "beauty" is the right word, but it is awesome. 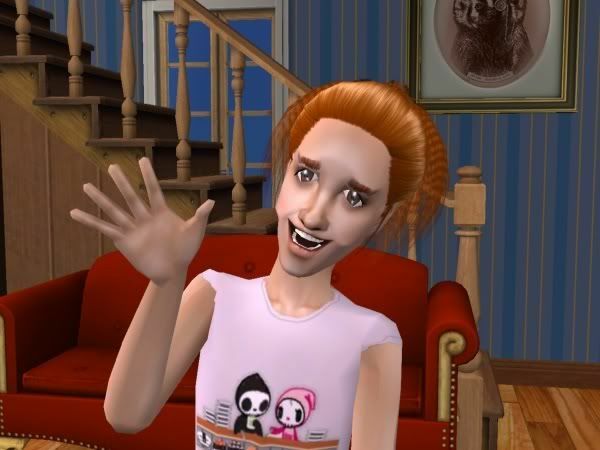 Samsung and Demonia make odd-looking sims like my game's Olivia look positively normal in comparison. Why, thank you! I'm halfway done the next update and you're going to love this generation. Demonia was a treasure bestowed by my selfsim and named after a brand of shoes; she turned out so bad that I had to use her, backing up the legacy progress once again. I AM going to have. To read your uglacy now that I see those eyebrows! !